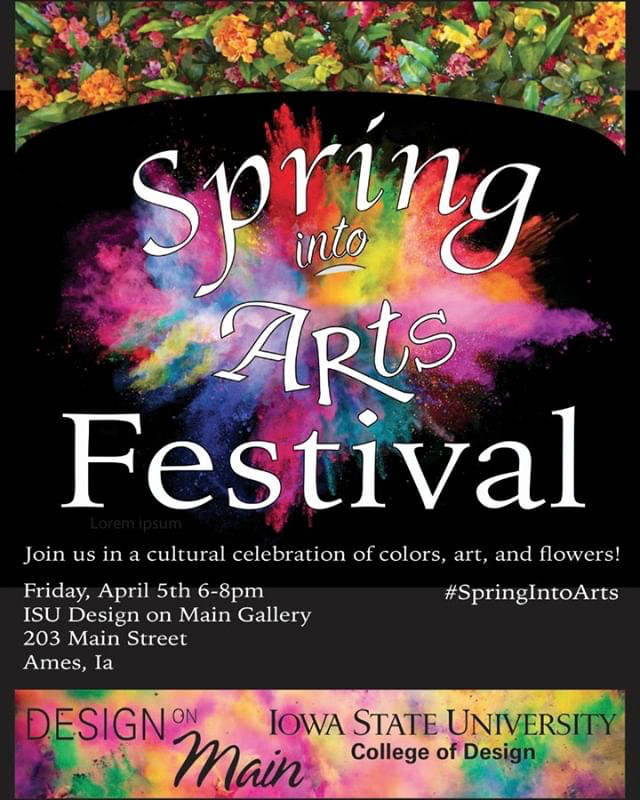 The ARTIS 462X: Community-Engaged Arts Management class invites you to the “Spring into Arts Festival,” a celebration of spring festivals including Holi, Mardis Gras, May Day and more, at the ISU Design on Main Gallery in downtown Ames. This two-hour, family-friendly event will feature interactive art and craft projects, including make-your-own May Day treat baskets, a community-crafted flower wall and a collaborative outdoor Holi piece. The event will be followed by the threadit spring fashion launch and silent auction.